"In Total Truth, Nancy Pearcey offers a razor-sharp analysis of the split between public and private, fact and feelings. She reveals the strategies of secularist gatekeepers who use this division to banish biblical principles from the cultural mainstream, stripping Christianity of its power to challenge and redeem the whole of culture. 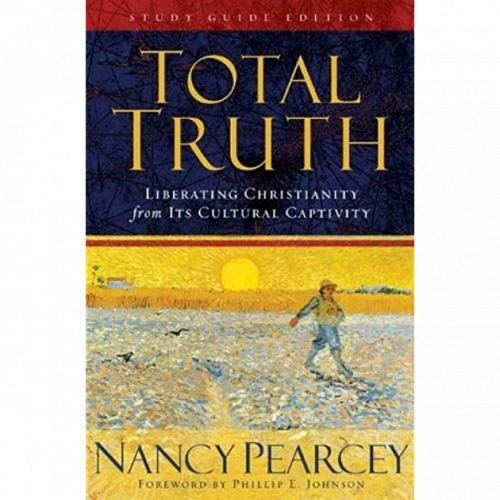 ... she makes a passionate case that Christianity is not just religious truth but truth about total reality. It is total truth. This new Study Guide Edition of Total Truth is filled with fresh stories, examples, and illustrations. ..."
It is reasonable to assert that Christianity was an essential component of the culture in which modern science developed because it provided a more encouraging worldview for the investigation of nature than did alternative belief systems. In this episode, the question of whether Christianity acts as a superstition that holds back the advancement of science is examined. The foundational ideas of Christianity are compared with other religious philosophies ranging from Atheism to Animism. Galileo’s involvement in the conflict over Copernican and Ptolemaic understandings of our universe is examined along with the thinking of other great scientists ranging from Robert Boyle and Isaac Newton to Louis Pasteur. Dr. Isabel de Moraes is a remarkable woman who has become one of the leading scientists living today. What challenges did she have to overcome? Why does she work inside a huge synchrotron facility on a former Royal Air Force base just outside of Oxford, England? How has her scientific education and research influenced her faith in the Creator God of the Bible? And how has her faith influenced her science?